Meet Rajashree. 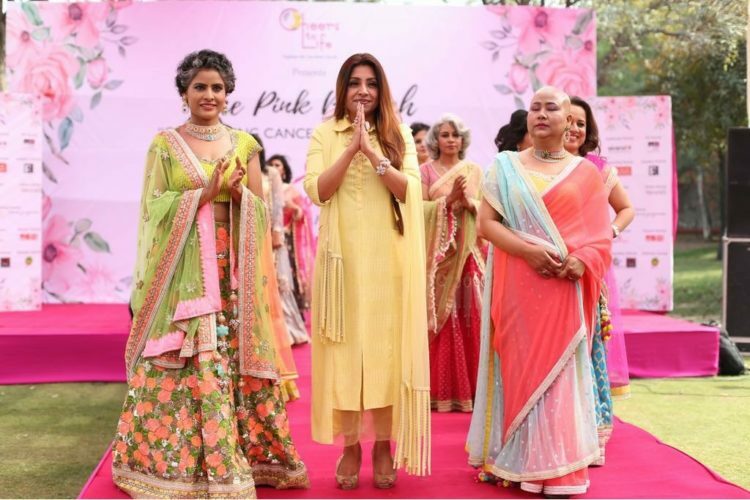 I met her last week at our store when she came for her fittings prior to the fashion show she was going to participate as part of breast cancer awareness initiative by Cheers to Life Foundation. I knew she didn’t want to be there. Very coy and barely audible I could feel that if given a chance she would run away. 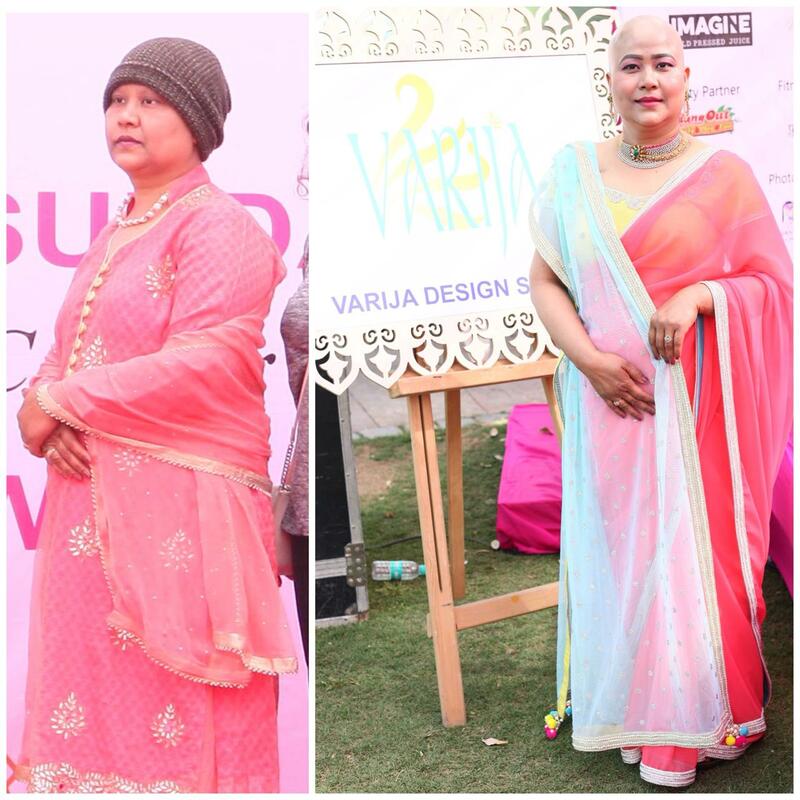 She is currently going through Chemotherapy for breast cancer and has lost all her hair. 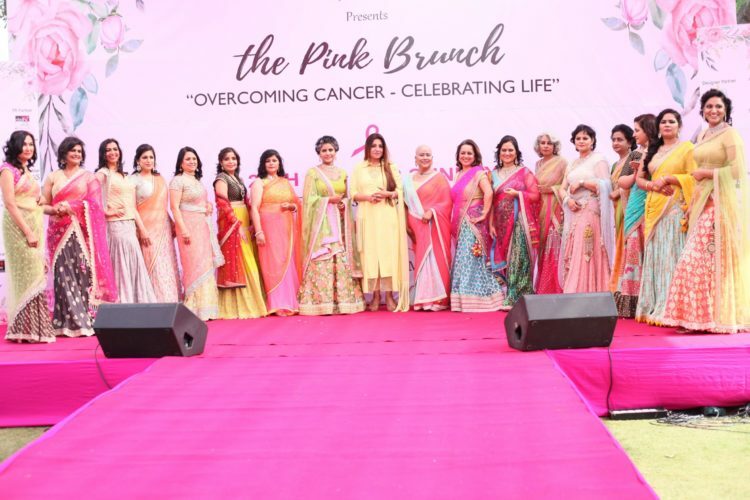 While deciding the look for the show all the other cancer warriors( her co-participants for the show) insisted that she should walk the ramp bareheaded. The tears rolled down her eyes. Being always admired for my long hair I could so relate to that feeling. She shared how beautiful her hair was before her treatment for cancer started. Now her day starts with looking herself in the mirror, crying and repenting what she is bestowed with. While I was busy sorting the music, the team got her ready with the makeup 💄, jewelry and the look we had decided for her. Once she was ready she came up to me with a smile that she was trying hard to hold back and those eyes that were asking for my approval and assurance. O my God… she looked stunning 😘. No not for the clothes…but for the dignity, confidence and smile that just got restored. She looked so beautiful and divine because we together managed to restore her faith in this beauty called LIFE ☺. It’s an experience beyond words that I am trying hard to put down here. To everyone’s surprise, she discarded the scarf and insisted to walk bareheaded. She was now confident in her own skin. Thank you, Dimple Bawa, for this divine experience. You are so Godly and touching lives beyond humanity. Thanks to all the warriors for making me believe that LIFE is not just about birth and death but HOW and WHAT we do in between. 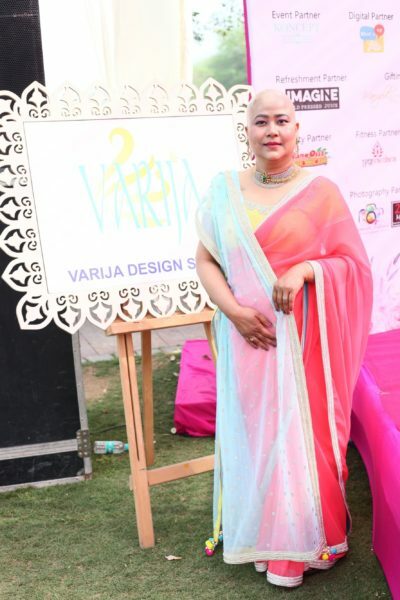 Share the post "Walk for a Cause – Varija’s experience with Rajashree: A Cancer Warrior"